Welcome! 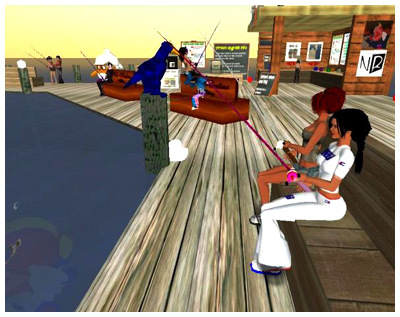 Neo-Realms Fishing is a fun fishing game for you to enjoy in the 3D virtual world of Second Life. Relax with your friends or strive to get your name atop the leaderboards! Enjoy a multitude of features, minigames and tons of ways to get rewards and prizes! 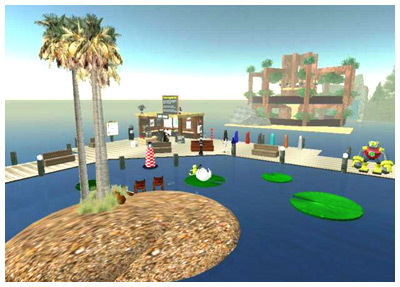 Stop by and enjoy one of Second Life's oldest games! $300/$150/$100/$50 + reward points and trophies! 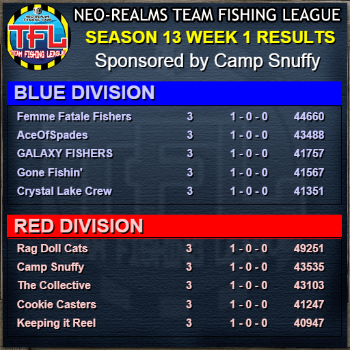 Neo-Realms FISHING BUM'S GO FISH Tourney! Come Have a Good Time!! Host: MyCelestial Wingtips | Location: Our Playground! Local also running so don't forget to register. Epic Bait inside Local Trophies. Local Tourny is open too !!! Its our first tourney so it is anything goes. Fishers Rest Dock Grand Opening! TFL Season 13 is now underway! 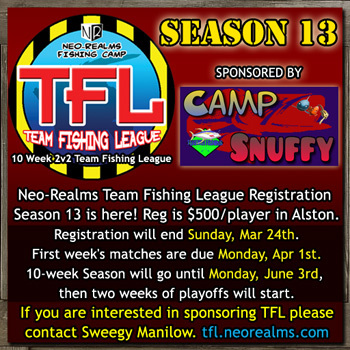 TFL Season 13 Registration is underway! Sponsored by Camp Snuffy! 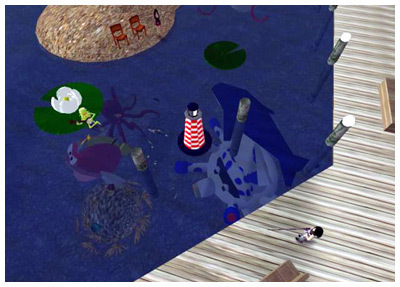 The Neo-Realms Fishing Camp at Alston <38, 86> in the Second Life world. Over 400+ items & fish lurking in the water! Keep all the collectable fish you catch! Sit back, chat and fish in a relaxing atmosphere with your friends.